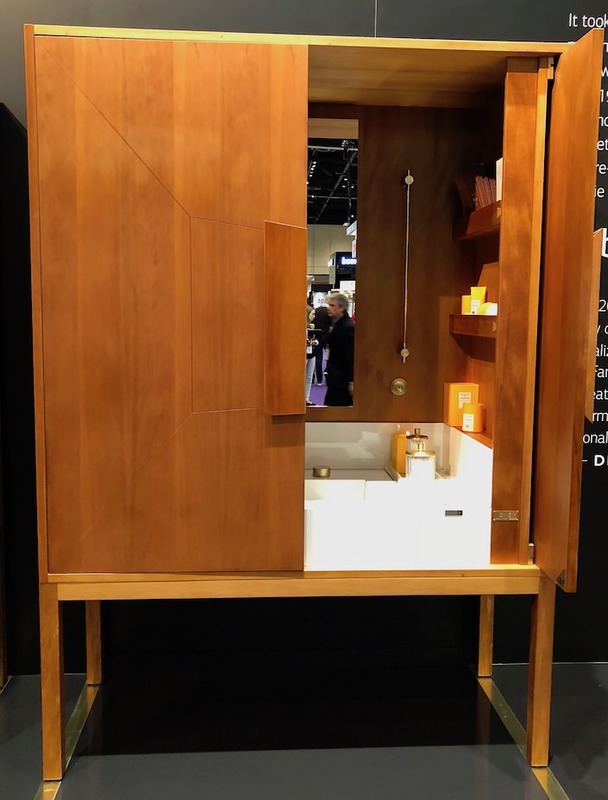 Also unveiled was a new NKBA Insiders program, with seven design related professionals, each representing a sector of the market, from technology to wellness to materials etc. I am delighted to share that I will be a part of the program for 2018, representing authentic luxury. 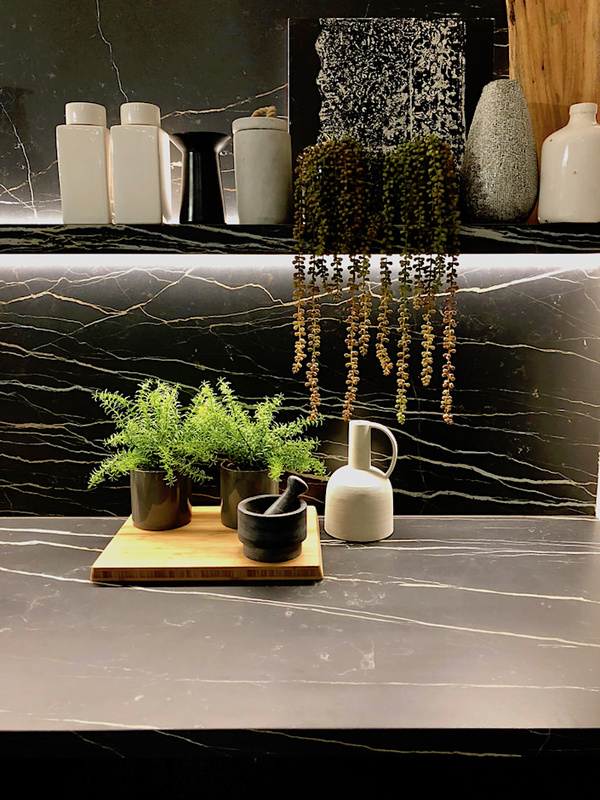 Throughout the year, I will be bringing you a wide and hopefully creative variety of inspiration and insights in the category, starting with a few of my favorite finds at this year’s KBIS. 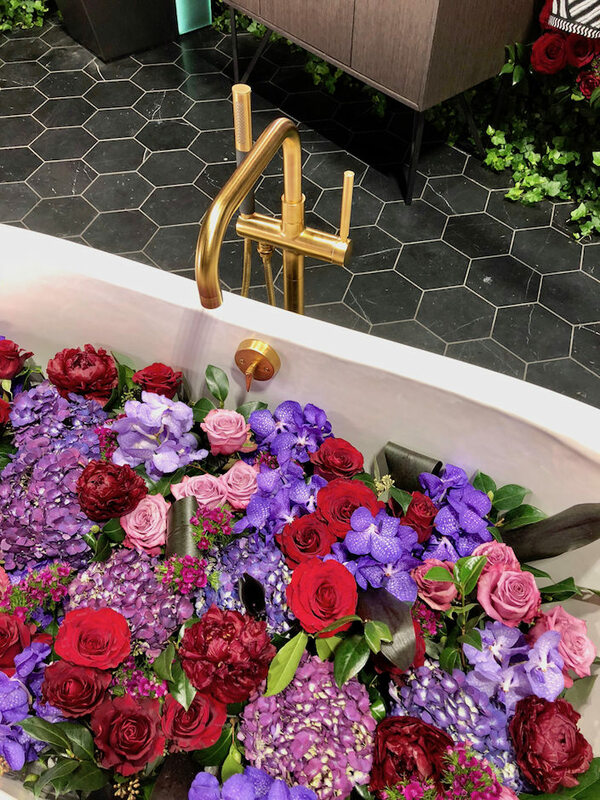 Keeping with the floral trends in fashion and decor, Kohler unveiled it’s colorful Bloom Boom installation, in collaboration with floral photographer Ashley Woodson Bailey, her colorful Dutchmaster sink, above. Below, the new Purist floor-mount bath filler. and textural glass and marble vision below, all at Kohler/Ann Sacks with the new Veil fixture collection, above. 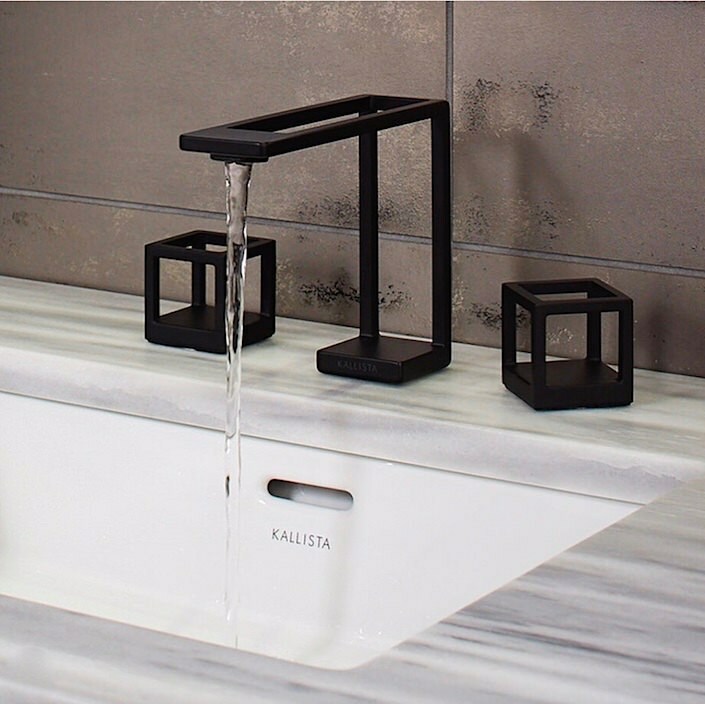 and at Kallista, where I couldn’t even get my own unobstructed shot of their new 3-D printed, matte black, de Stijl inspired Grid faucet. 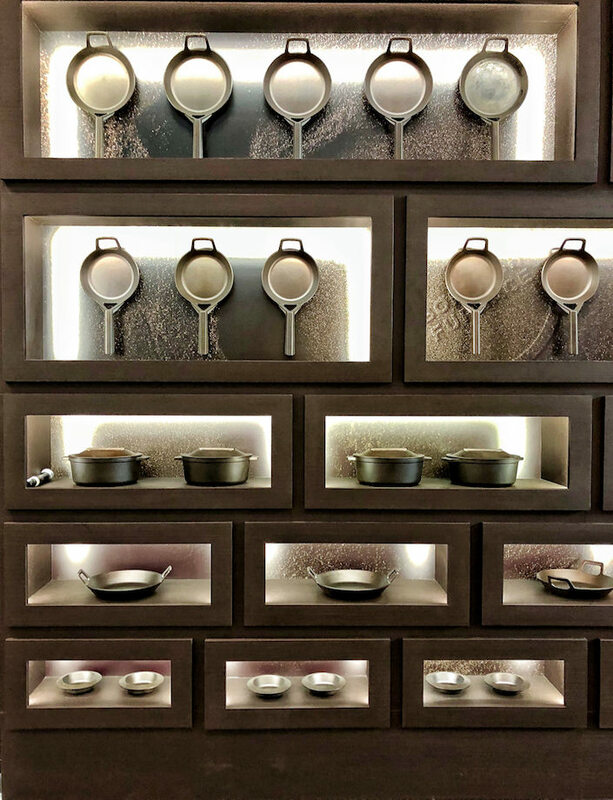 But dark also appeared in the kitchen, like this creative wall installation at Monogram, introducing their new collaboration with Zac Posen. 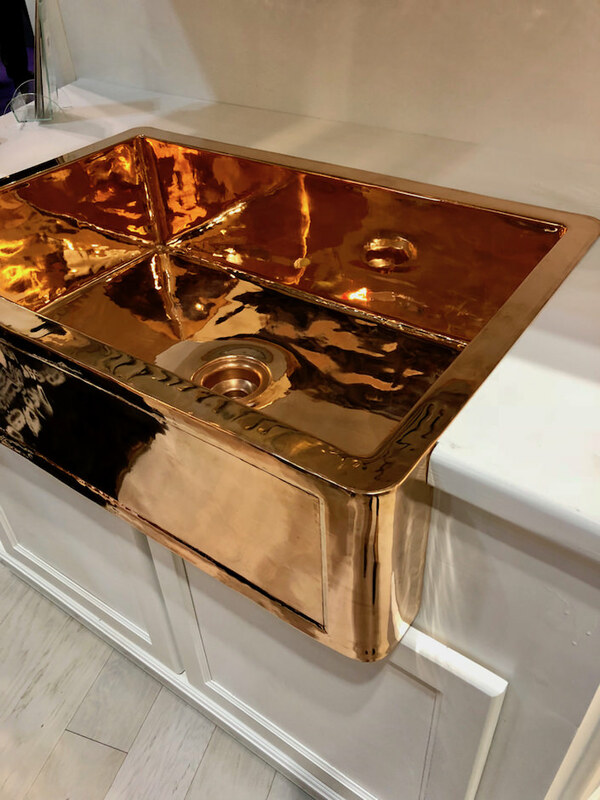 and Thompson Traders beautiful copper and brass sinks. There are too many categories to cover in a single post but suffice it to say that there was not only aesthetic inspiration overload but incredible technological innovation. 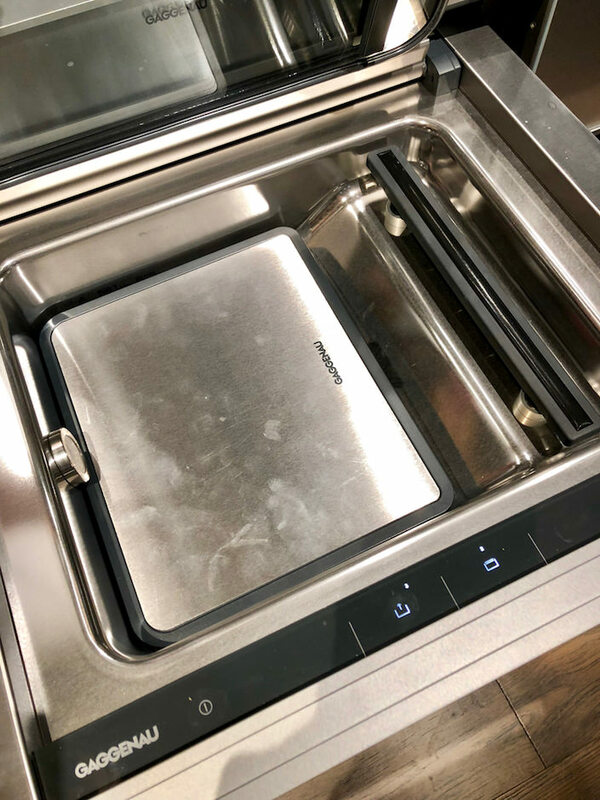 Gaggenau‘s impressive vacuum sealing drawer can prepare food for storage and/or sous-vide cooking, as well as, with a handy attachment, vacuum seal your unfinished wine bottles! Miele introduced its first bagless vacuum cleaner so you never have to worry about running out of bags again. 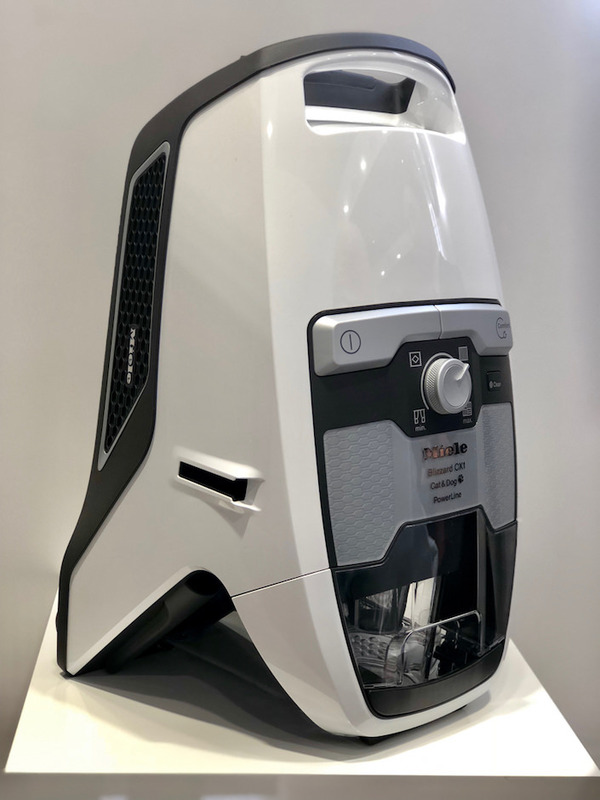 I also loved their new Fashion Master ironing unit – check out my short video on Facebook, shot at their booth, to see its incredible capabilities. Thermador‘s dedication to technological advances was mind boggling. 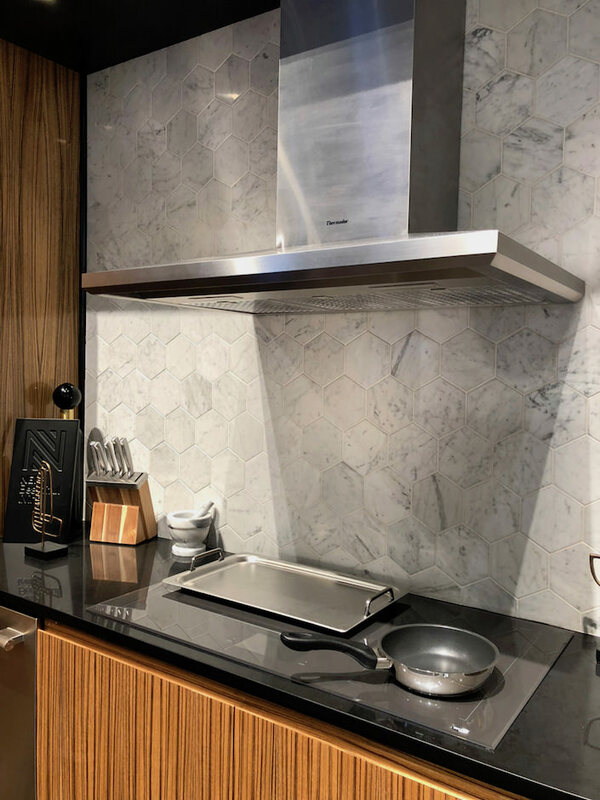 From exhaust fans that can automatically sense when the cooktop is on, to their super sophisticated Home Connect platform, including an entire world of exciting digital services in the kitchen and throughout the home, accessible while at home or away. I’ll finish up with a look at a few random favorites. 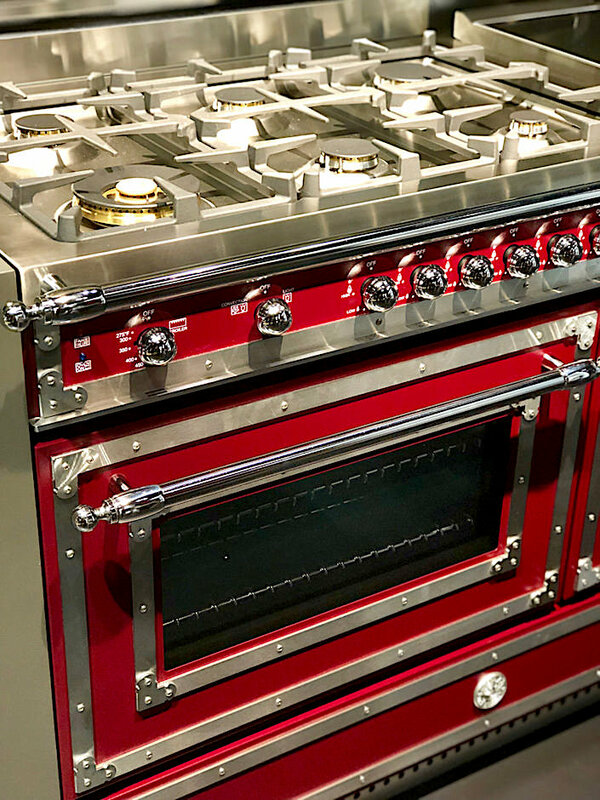 Bertazzoni is a 6th generation owned family company that produces ranges with that trifecta of beauty, precision and flair. 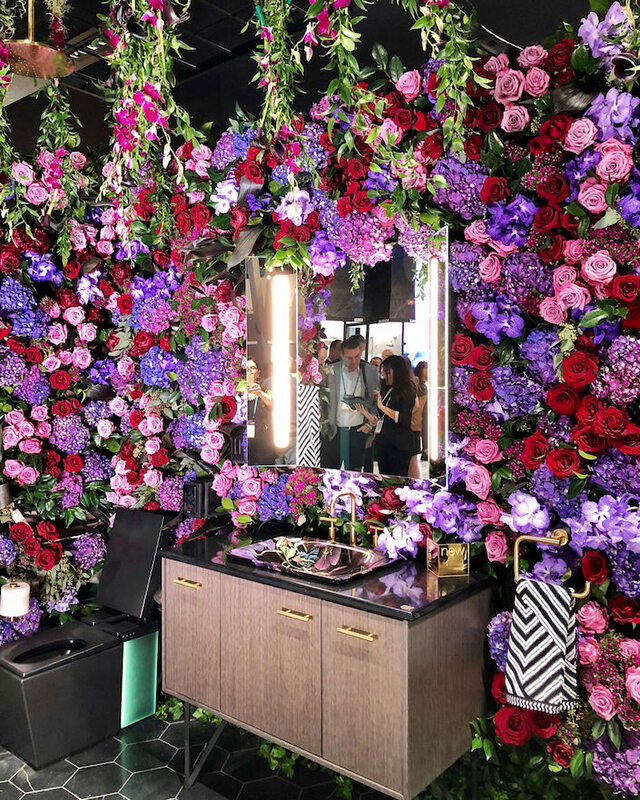 DeKauri was the result of one of the most unique creative collaborations at the show. 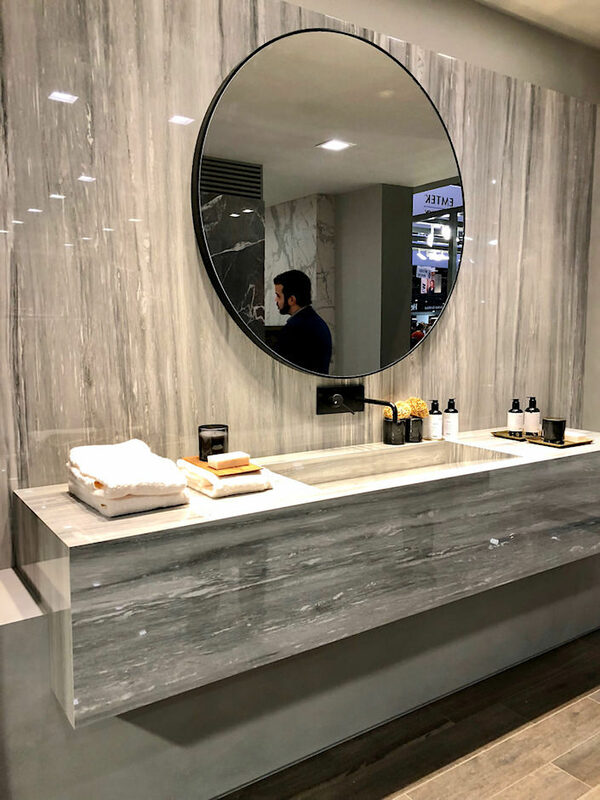 Spanish manufacturer Cosentino, Italian furniture manufacturer Riva 1920 and Arizona based, Argentinian born architect/designer Daniel Germani united to design an elegant freestanding enclosed bathroom vanity. Crafted from Riva 1920’s exclusive 50,000 year old Kauri wood from New Zealand, it is truly a statement of form and function. 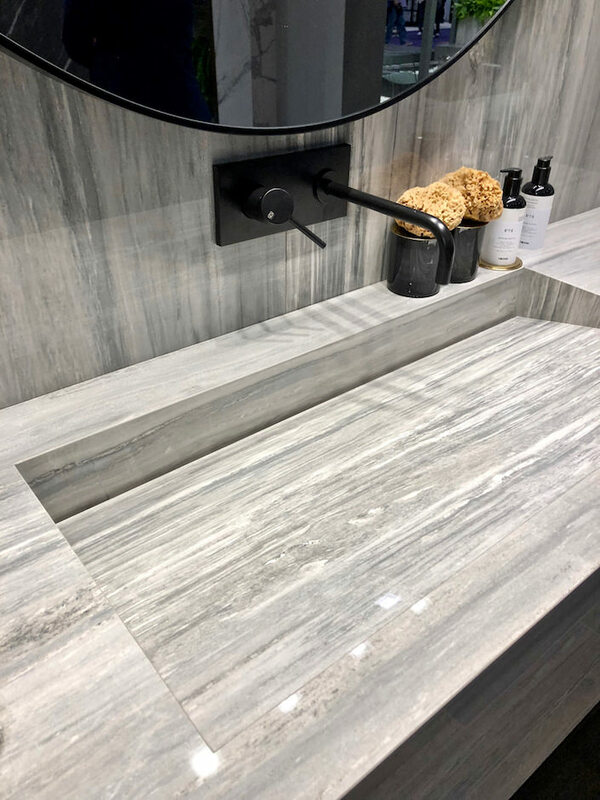 Florim introduced large slab porcelain, an astonishing and elegant stone lookalike. Available in three thicknesses, it is a beautiful alternative to stone. 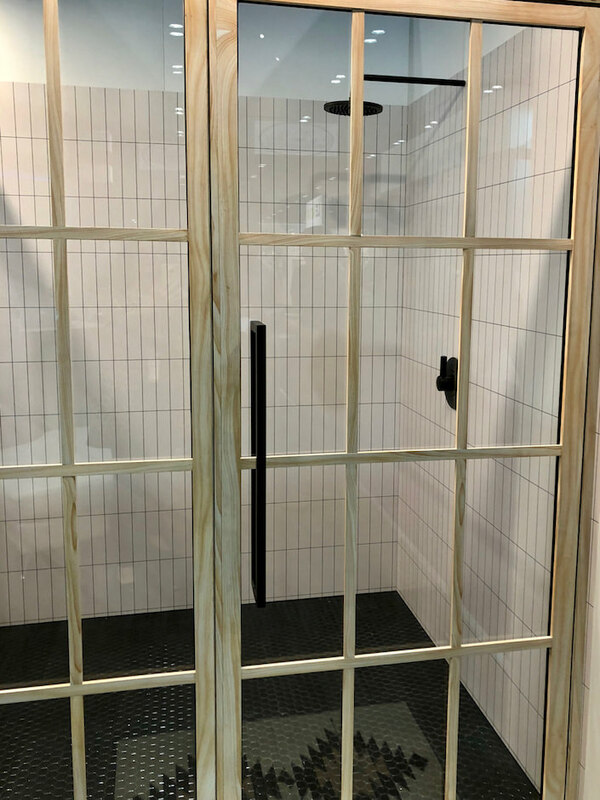 Fellow NKBA Insider Bobby Berk designed the stylish new Wood Gridscape Shower Door Collection with Coastal Shower Doors. 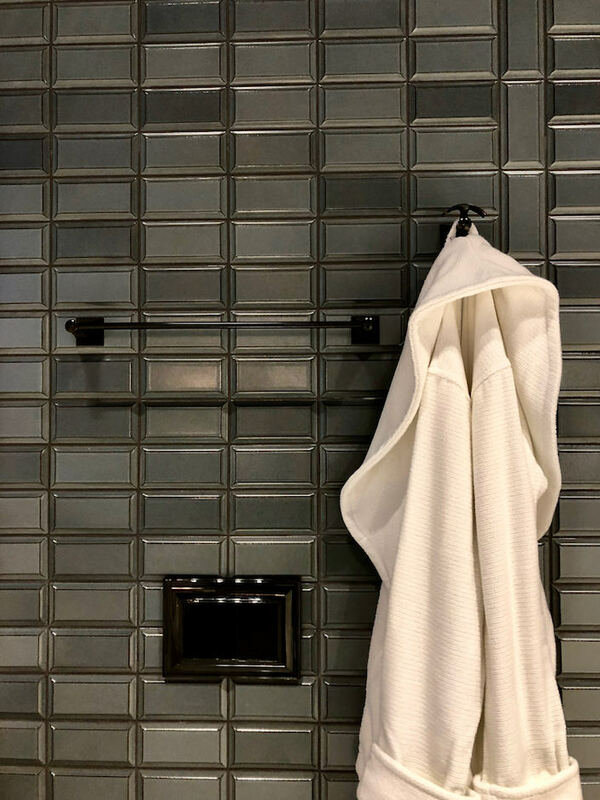 The applied wood grain over aluminum gives them a relaxed coastal chic. 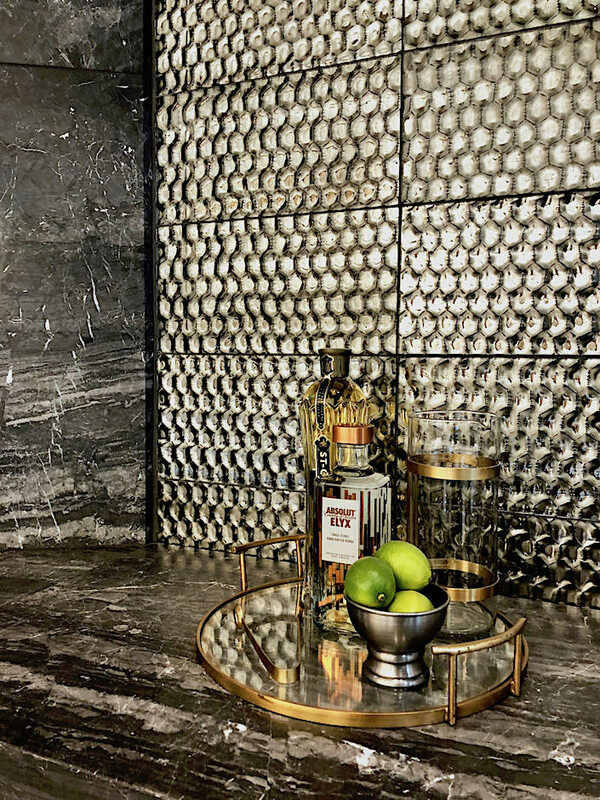 And lastly, one of my favorite installations included Kelly Wearstler‘s dynamic new Liaison large mosaic tile for Ann Sacks. 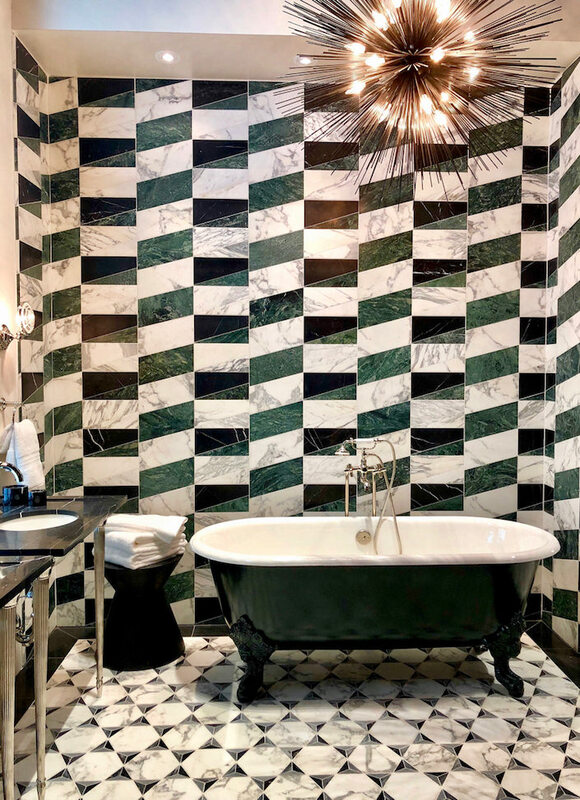 I am feeling the green love lately and this totally hit the spot with Kelly’s signature mix of glamour and graphic sophistication. 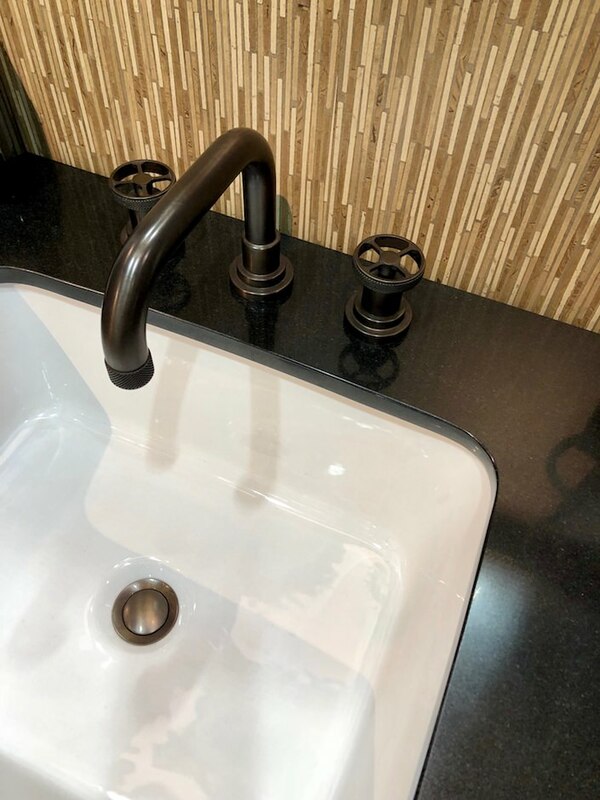 A big thank you to the NKBA! 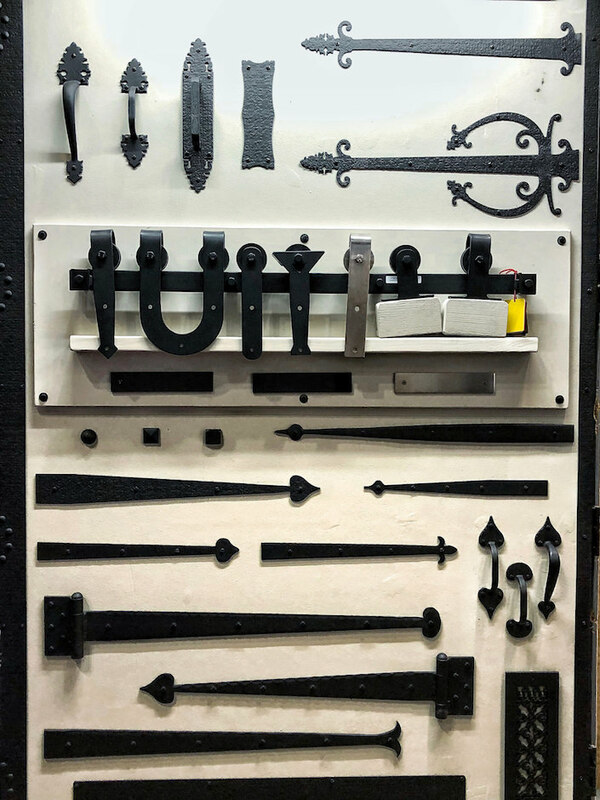 Stay tuned for an exciting year of inspiration for the kitchen, bath and beyond. 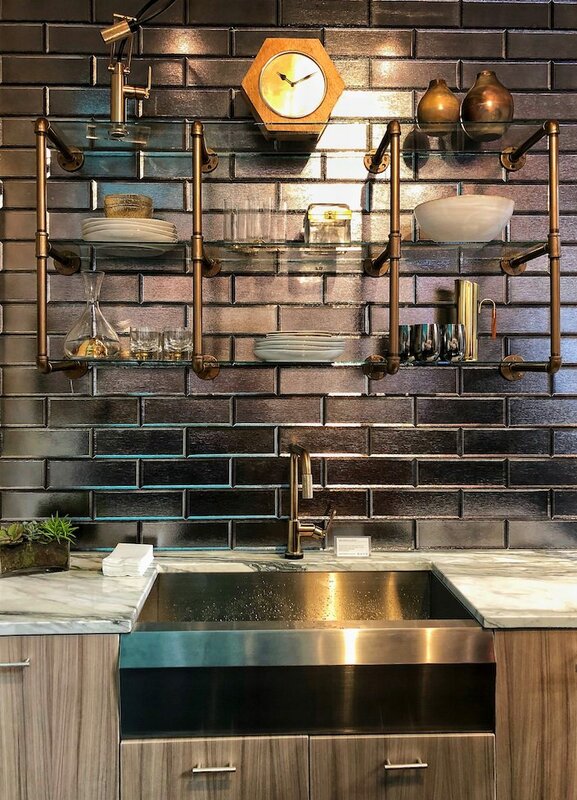 This entry posted in design, interior design, kitchens. 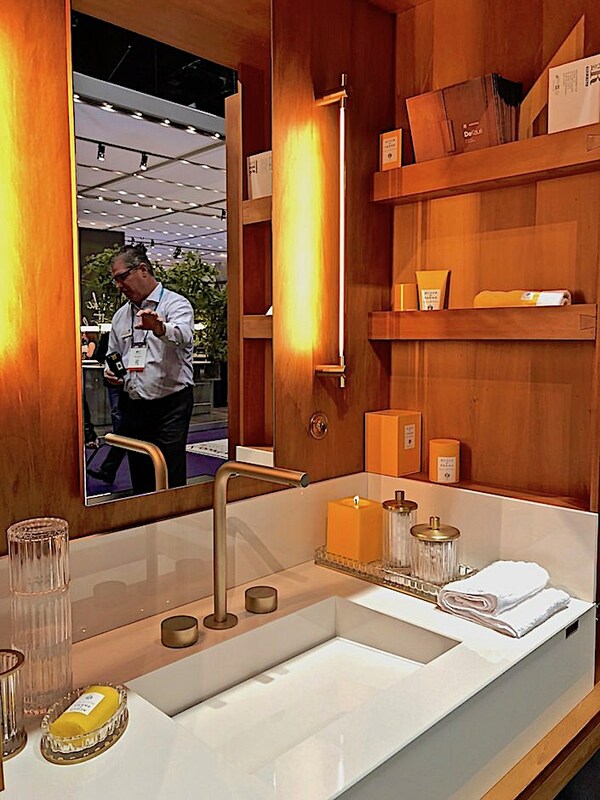 Entry Tags: baths, interior design, KBIS, Kitchens, NKBA, NKBA Insiders Bookmark the permalink. Great post Stacey! I am so sorry I wasn’t able to go this year but you gave me a nice overview of what’s trending. I know there was so much to see but I appreciate your sharing this with those who were not able to see with their own eyes. Hope to get there next year. Fabulous overview! Thank you, Stacey. Thank you so much for the report Stacy! Everything looks amazing! 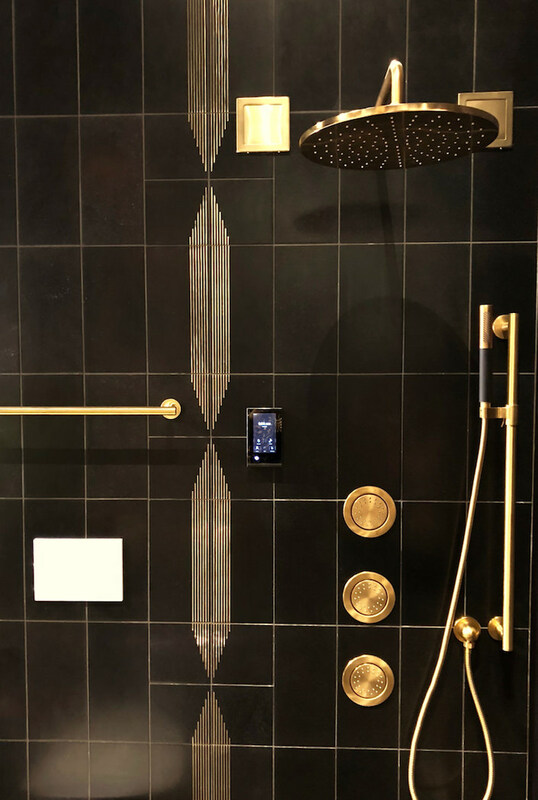 I especially like the Bobby Berk Coastal shower door, I can certainly use this on my remodels in Southern CA. Thanks for the overview and for the shoutout for Thompson Traders Stacy! Thanks for sharing. It’s always a fun show and great way to stay on top of trends. Wow. 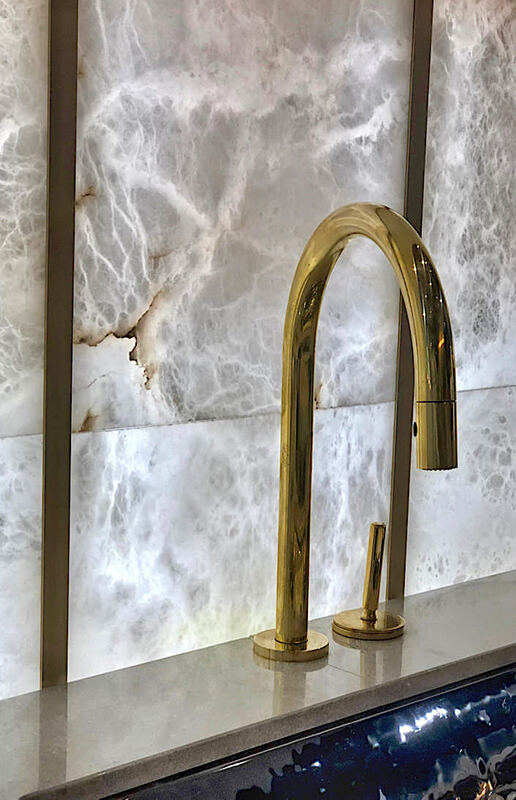 Thank you for your amazing and thorough post on the latest at KBIS. Not attending this year, I was so appreciative of your photos and descriptions. 81 queries in 0.538 seconds.